All steel doors are manufactured within EEC and carry CE rating. 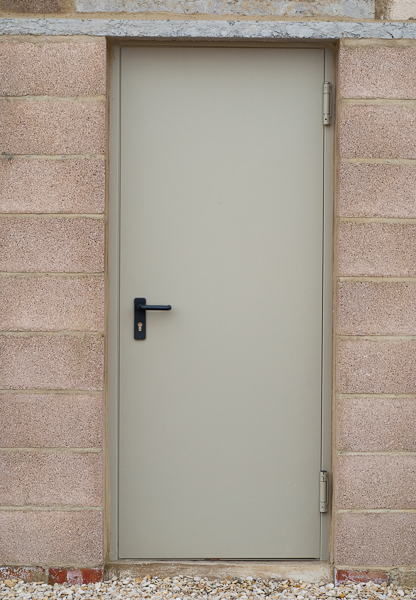 We carry various sizes in stock and also provide made to measure doors at no extra cost. Ambassadoor can supply only or supply and fit all types of roller shutters from galvanised chain operated to insulated electronically operated. This product is a design in which offers all the advantages of a standard roller shutter but with the acoustic and insulating properties. The sectional overhead door offers and insulated door which is spring balanced on a manual or electric operation. 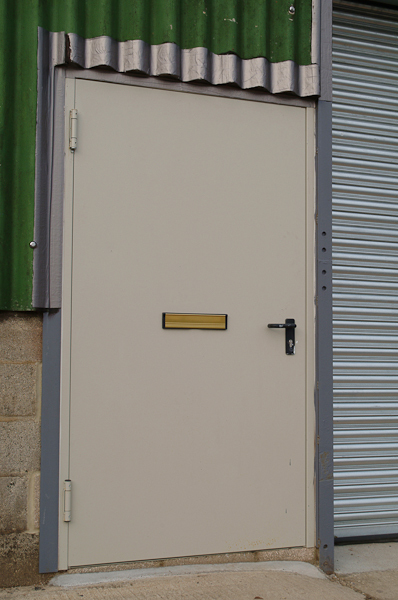 All fire shutters are manufactured and supplied with 1-4 hour rating in both manual and electric operation. 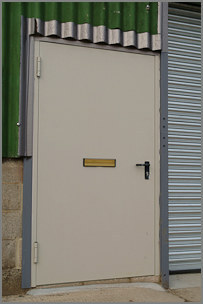 All steel doors are manufactured within EEC and carry CE rating. We carry various sizes stock and also provide made to measure doors at no extra cost.